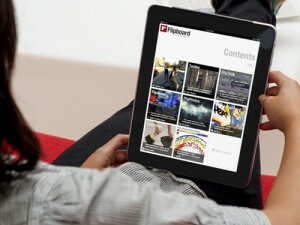 There are hundreds of thousands of mobile apps across all the various platforms, but there is only one Flipboard. It says a lot about an app when its design makes it the app you use to show off your device to your friends and its functionality makes it the most used app on your device. Flipboard is that app. Its design and concept have made it one of the most viral apps ever, and its simplicity and intuitive nature makes it a pleasure to use. 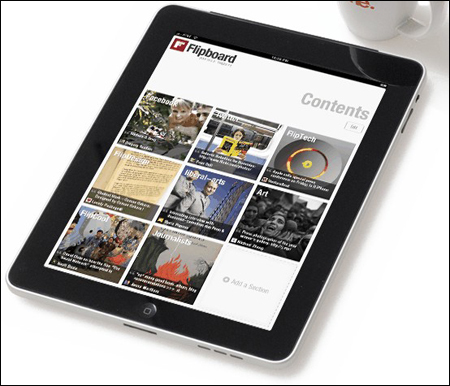 If you are not familiar with Flipboard, chances are you do not own an iPad, but even so, it is worth reading about the app here. 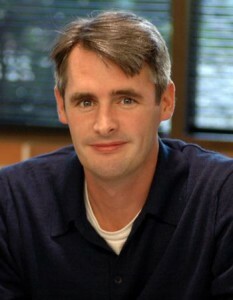 Mike McCue is the co founder and CEO of Flipboard. Not only is Mike clearly a creative genius but he manages to impress everyone who meets him. Kara Swisher of All Things Digital was extremely impressed with Mike and described him to me in a tweet as having “hypnotic eyes. actually, a great and steady entrepreneur and an unusually nice, nice guy.” Other industry giants like Robert Scoble were blown away by both Flipboard and Mike himself as well. Long story short, I knew from the first time I tried Flipboard that I wanted to learn from Mike how great products are made and I tried to land this interview for months. Let’s just say, the man is busy. Having said that, I must emphasize that at no point did Mike brush me off, he always made it clear that as soon as he had a free second, he would answer my questions, and so he did. To top this all off, Time Magazine just named Flipboard one of the top 50 inventions of 2010 (along with the iPad itself), so I now know it’s not just me. The following are ten questions I asked Mike McCue, the CEO of Flipboard. Hope you enjoy his answers as much as I did. 1. Please tell us a little bit about yourself both personally and professionally. I love building technology products that can enrich our everyday lives and make things simpler. I first used a computer when I was 14 in my high-school computer lab (a TI 99/4A with 16K RAM) and it changed my life. I found myself trying to build things my mom would like so she’d get as excited as I was about computers (and then ideally buy me one). When I was a sophomore in high school my parents finally bought me a computer and I started writing video games and licensing them to magazines and ultimately to a games publisher. I was enthralled with Apple and immersed myself in the whole arc of personal computing, from the Apple II to the IBM PC to the Mac to Windows to OS/2 to PenPoint to NeXT and ultimately to the Web. In 1989 I started a company called Paper Software to make using a computer as easy as using a piece of paper and then in 1995 we sold that company to Netscape and I worked on the browser, developing new ways for people to view content on the Internet and helping to establish the underpinnings of Web 2.0. After AOL acquired Netscape in 1998, I co-founded Tellme (now a Microsoft subsidiary) which combined the power of the phone and the Internet to let people say what they want, on any phone, and get it. Overall, I’d say that building products that my mom can understand, wants to use, and can ACTUALLY use is still the core test I apply to all the things I work on. At Tellme we called that “The Mom Test”. Today my mom uses Flipboard to explore all the content on Twitter and I’m pretty proud of that. 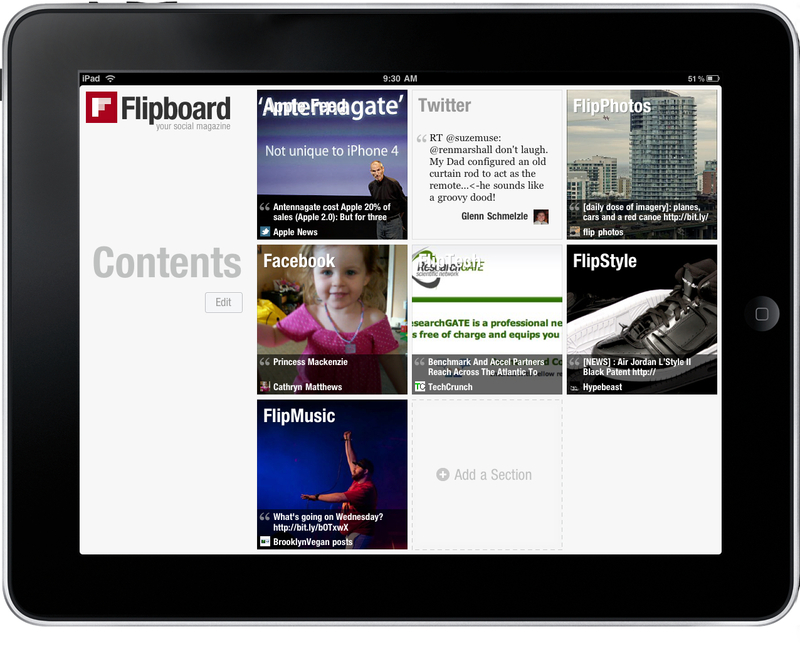 In fact, my co-founder, Evan Doll told me that his grandmother uses Flipboard. When I see that happening I know we’re on the right track. 2. When did you decide to get into application development in general? When I was in high school I wanted to be an astronaut and had begun the process to attend the US Air Force Academy. I started combining my interest in space with computers and my first real app was a simple space shuttle flight simulator. I wrote it in TI BASIC back in 1981. It was 14K. I was hooked on software and admired entrepreneurs like Steve Jobs, Mitch Kapor and Bill Gates. So by my senior year I had pretty much decided that rather than go to NASA I’d become a technology entrepreneur. 3. I know you have been asked this before, but please share with my readers when and how you came up with Flipboard. Flipboard is an idea that has evolved greatly over the last year based on the work, inspiration and input from lots of people. It was rooted in a thought experiment that Evan and I did in the summer of 09 where we asked “What if the Web was washed away in a hurricane and we needed to build a new one from scratch knowing everything we know now? What would it look like? What would be different and what would be the same? What would the architecture ideally be? What would the user experience be like? etc.” We thought it would be possible to build something from the ground up that was inherently social. And we thought that new form factors like the tablet would enable content to be presented in ways that were fundamentally more beautiful. We were inspired by magazines, both in their timeless beauty (websites simply fail to achieve the visual impact and overall feel of great magazines like National Geographic, The Economist or Vogue) as well as their incredible vertical nature (i.e. it seems you can find a magazine for just about any interest you have no matter how arcane). As our thought experiment progressed and interesting product ideas began to materialize we decided to start a company focused on improving how people discover, browse and share content across social networks. We incorporated Flipboard in January of this year and honed the ideas further with our team, ultimately leading to the first social magazine for the iPad. 4. How do you explain its wild success? I’m not sure I can totally explain it, but my sense is that we just tapped into something people had been wanting for a long time but maybe didn’t realize it. Today you have to visit lots of different places around the Web just to stay informed, often scrolling through text-heavy lists full of arcane links. Web pages have become incredibly cluttered and slow, constricting content to a thin column of text. I think people find that Flipboard makes their social media more consumable and more aesthetically interesting. They use it as a single place to discover all the cool stuff their friends are posting across Facebook and Twitter. People read their Flipboard over breakfast, in the bathtub, on the train, and on their treadmill. They show it off to their friends as an example of what the iPad can uniquely do and recommend it to anyone who just bought an iPad. They enjoy seeing photos from their friends on the cover and sharing pages that they think look cool. I think Flipboard captures and accentuates the feeling people had when they first saw the iPad… the promise of a new way of interacting with technology in their everyday lives, a bit of the imagined future they could touch today. 5. 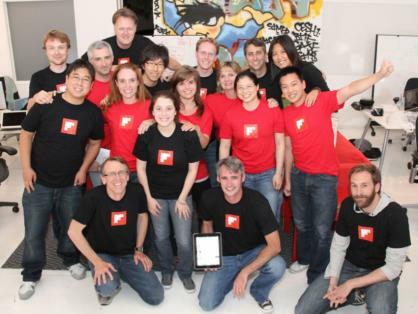 Scoble mentioned you guys have great stuff planned, care to give us a small glimpse into the future of Flipboard? Well, there’s a lot of rounding out of the product we’ll be doing continually like expanding the information sources you can have on your Flipboard, improvements to presentation, new ways to share, etc. But one of the things that excites me most about Flipboard is the stuff that has yet to ship and that we think will become core to the experience, hopefully breaking new ground in ways that will surprise people. Just one example: as you know we acquired Ellerdale at the time of launch and you should see that technology integrated in the not too distant future to help people sort through the truly massive amount of information coming at them every day across their social networks. 6. What are your thoughts on the iOS vs Android battle? Where does the future lay? My guess is that there’s room for multiple players in the long run. Apple has a huge advantage right now with a seamless blend of hardware and software that has really set the standard for the industry when it comes to the user experience. Meanwhile Android has quickly become a major player with an array of devices, carrier plans, price points and form factors like physical keyboards that clearly appeal to lots of users. These are two very different philosophical approaches to the market and I doubt any one approach will completely dominate over the other. I think that’s good news for the app development industry. 7. What do you think about the tablet space? Can the Samsung Tab compete with the iPad? Apple has a huge, potentially insurmountable lead here with their first gen tablet and I imagine their second generation tablet can’t be too far off, furthering their leadership position. Meanwhile most other tablet platforms have yet to ship, let alone gain traction with users. So it’s entirely possible at this point that things could play out the way the music player market did with the iPod being the clear winner. On the other hand if significant fragmentation in tablet form factors and price points emerges this could play out more like the smartphone market with two or three major platforms. 8. Is the netbook market dead? How about notebooks? Will tablets take over this space? No, the netbook will continue to be an important form factor that I’m sure will evolve in response to/synchronization with the tablet form factor. For example we could eventually see netbooks, laptops and even desktops with detachable touch displays, effectively creating a hybrid solution. This would likely require an OS that could function as both a laptop OS and a tablet OS. Could iOS evolve to the point where it could effectively become the next gen OS after OS X? That’s no small feat but it could happen over the next five years. 9. 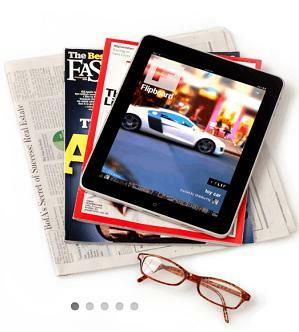 What are ten iPad apps you use regularly besides Flipboard? Any Twitter app you like best? I use iBooks a lot. I take notes all the time on the built in notes app (it’s so wonderfully simple). I read interactive books to my little girls like Jack and the Beanstalk. I really like the newspaper apps like New York Times and WSJ. I also read Time and Sports Illustrated magazines. For Twitter I either use Flipboard or Twitter’s iPad app depending on what I’m trying to do. 10. What are some tips and secrets you would share with a new developer? Possibly things you learned the hard way or just general pieces of advice. First, build something you are truly passionate about… your users will see that passion shine through in the product itself and you will be driven for years to come through all the inevitable ups and downs. Second, recruit a professional designer who is proven at building great user experiences. I’ve never met anyone who was both a great designer and a great developer and to win large numbers of users your app needs to be both beautifully designed and well built. Third, less is more. We deleted more code than we shipped for Flipboard 1.0. It’s OK to ship a small subset of your ideal feature set but the resulting product should capture the core essence of your vision and be inherently useful. Finding this balance is tricky so don’t be afraid to iterate until you get it right and you know people are going to LOVE your first release. Mike gave some seriously great answers to some seriously difficult questions and for that, I want to thank him. Mike is an inspiration to entrepreneurs, developers, and designers across the industry and I am very thankful I had the opportunity to pick his brain a little. I hope you enjoyed it and as always, feel free to leave your thoughts in the comments below or reach out to me or Mike on Twitter. 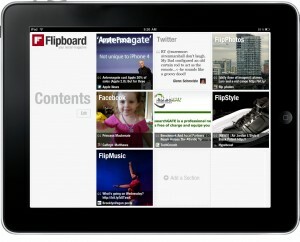 For me the Flipboard App is by far the best way to flip content on my iPad. Actually i bought the iPad after seen the app on a friends tablet. After that impression I went straight to the store and dit it. Godd interview, smart questions and sincere answers. @Peter: I agree. This is a great app which shows just what a tablet experience can be when not trying to be a keyboardless laptop. I love how it makes tweets so much more meaningful by using it to funnel great ideas and information to friends and family. Pingback: And Now, The Moment We’ve All Been Waiting for… Flipboard Comes to iPhone!